Central America is the southernmost, isthmian portion of the North American continent, which connects with South America on the southeast. After we had boarded the Stahlratte, we were told to get to our bunks and sort out our luggage and then reconvene in 15 minutes on the upper deck for a full briefing before we headed out to sea. You can read about getting to the Stahlratte here. All the cases went into storage areas, and I had a lower bunk and kept my backpack, helmet, clothes bad (including wash bag) and tank bag with my bed. All of our bikes are already under covers when we board. After staying three nights in Panama City and having time to explore this very modern city and the slums nearby, it was finally time to get to Puerto Carti and the Stahlratte to get across the Darien Gap. We headed out of Panama City to Puerto Carti at about 6.30am and was again greeted with the Panama City persistent rain. It took about 45 minutes to get out of the traffic and into the Guna Kala region, which was good, traffic was annoying! After staying one road soaked night in David, Panama, it was time to get to Panama City, which would be my final major city in Central America. My front tire on my KTM 1290 Super Adventure was now leaking at about 15 PSI per hour, not good and I was also running low on coolant. The roads were pretty much straight highways and the weather was beautiful one moment and pouring with rain the next. I was beginning to think that is all that happens in Panama, is rain! After only one night in El Tanque Rojo, Nicaragua it was time to go to Jaco, Costa Rica on a riding day of only 230+ miles (377 kilometers) a trip which took me all up around eight hours. 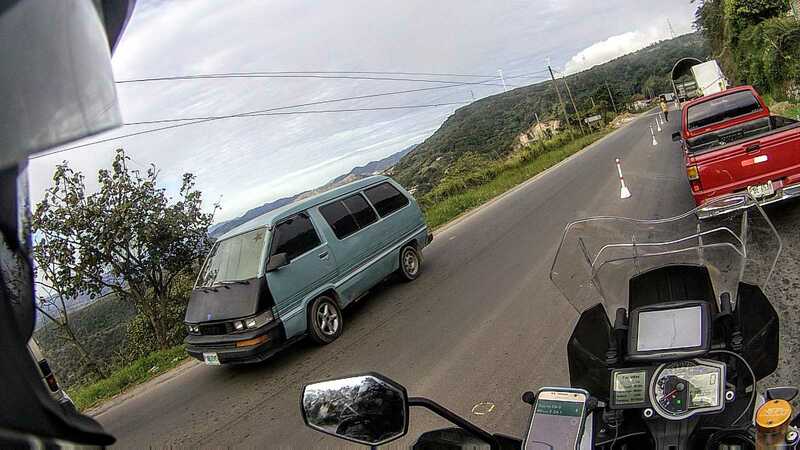 Getting from Tegucigalpa, Honduras to El Tanque Rojo, Nicaragua was not my best riding experience on this trip. I left early in the morning as usual and headed to the border. I had 270+ miles (436 kilometers) to cover to get to El Tanque Rojo and also had my first accident of the trip. Getting from El Salvador to Tegucigalpa, Honduras was supposed to be a nice mild sort of day. This border crossing is a very busy one for truckers with miles of trucks waiting to be processed. Getting out of El Salvador was quite easy, but again I had a mass of helpers trying to tell me it is a lot more difficult. 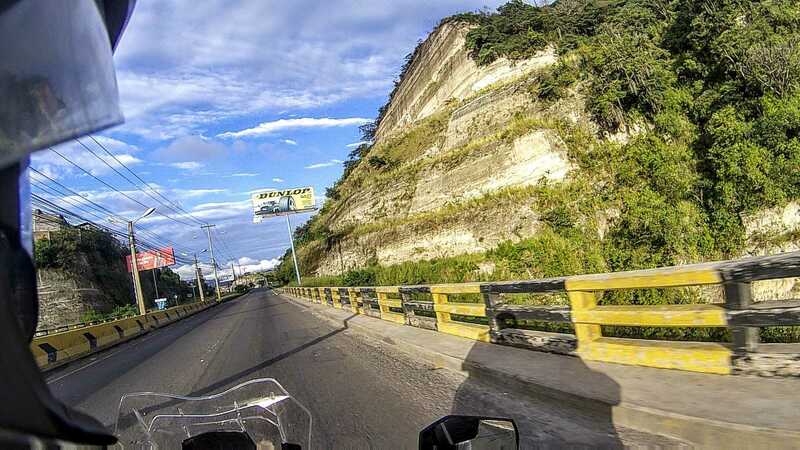 Getting across this border on my motorbike into San Salvador was supposed to me a nice riding day in the gorgeous sunshine. I headed for the Terrestre Las Chinamas border crossing at first light. I chose this border because it was supposed to be not as busy. On arrival, I was told that the border was closed because of a strike and I had to go back and reroute north to the Aduana Terrestre San Cristóbal. My trip today takes me from Antigua, Guatemala to the Antigua, Guatemala to Pacaya Volcano, near Guatemala City. I had the idea of riding up as close to the volcano as possible. Unfortunately, the clouds came over, and I didn’t have a chance to get closer.